Damon Huard was a spectacular player at the University of Washington, finishing his career as the Huskies' all-time passing leader with 5,692 yards. Since then Damon has played 13 seasons in the NFL with the Miami Dolphins, New England Patriots, Kansas City Chiefs, and San Francisco 49ers. Damon Huard has personally hand signed these photos. Each Roy Oswalt autographed photo is guaranteed authentic, and includes an individually numbered TRISTAR Authentic hologram. 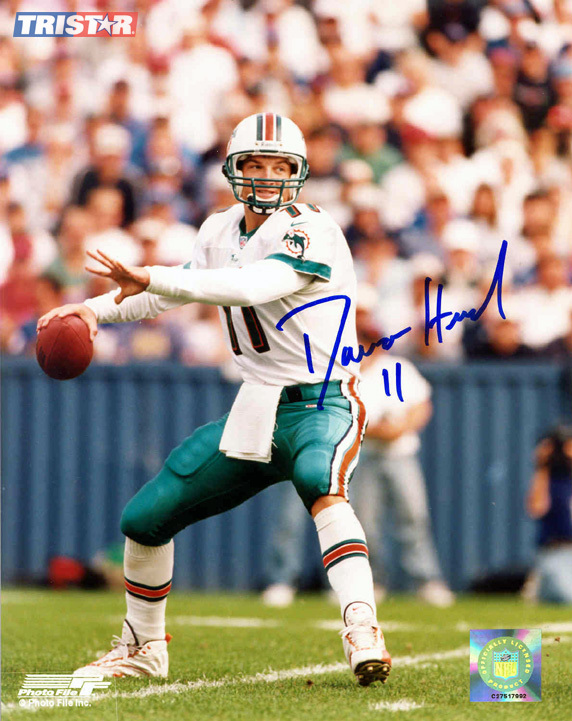 You can verify the authenticity of your autograph by entering your hologram number online at www.tristarauthentic.com.